Most people think that there is nothing positive about divorce as the negative effects are more obvious and talked about. Of course there is going to be some turbulence and adjustment for the whole family and in some parental separation the process is harrowing, exhausting and a long drawn out one but sometimes divorce can be the best thing for everyone involved. Divorce can be a positive thing when the marriage is in high conflict and the children are exposed to violence, abusive substances etc. It is not healthy for children to be in an environment where they see a lack of respect and trust. Often when the child has been a victim of domestic violence then that child will grow up disliking societies' vices. That’s surely is a positive. For some families being under one roof does not work. The stress of long hours, commitments and strains can impact on their family life and no matter how hard the parents work at trying to keep the family unit together they can’t. Separation happens and when it does it can be a good thing for an unhappy family who know being apart is the best thing for their children. It can also bring relief for the children. If the parents have been very open and vocal about how they feel about each other in front of the children the children will no longer have to listen to the rows, shouting, screaming etc. Very few divorces are friendly but once the household situation is diffused by a family breakup and the daily problems have disappeared, the children benefit because they are no longer living and breathing a situation that has become a norm. They are no longer in the difficult situation of feeling the need to take sides during parental arguments and disagreements and having to listen to them. Some parents even find a way to get along for the sake of the children once they are no longer living together. Once the children are no longer exposed to the ongoing hostility in their living environment, they can benefit tremendously. While they miss living with both parents, ultimately they are much happier when they aren't dealing with adult problems. If parents after a divorce can remain friendly the children will learn that relationships don't have to break down completely. They can be changed into something else. If they see their parents acting maturely at a difficult time they will have more respect for them and they will learn that this is the way you deal with problems in a civil way. Children need good parenting and it may be that they have not had any since the marriage started to show its cracks. Parents can be so focused on the problems in the marriage that good parenting may not have happened. But it can return. Divorce can help both parents become better parents as they learn to value their time with their children more and get to re-connect with them. But whatever the case, the children will always be affected in a positive way when a parent shows that they love and care for them. Children who have gone through a divorce with their parents can reap the benefits of spending one on one time with each parent. 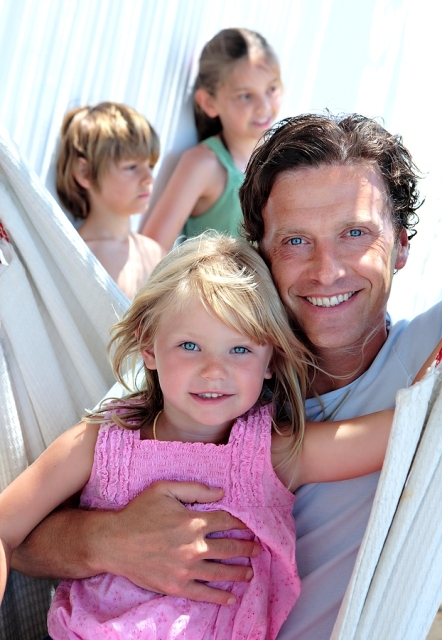 Despite the difficulties of divorce, the one on one time is a great bonding opportunity for parents and children to experience. There will be less time but the quality of time spent together is usually increased because the parent is totally focused on the children and the time together is valued more. There are more positive aspects to divorce. On a more superficial level when mum and dad live in separate houses the children may be introduced to new children their age so they may have more friends. Mum and dad eventually may get re-married or co-habit with someone who also has children. For a child that is an only child or wants more siblings this can be a good thing. In the same way that if mum or dad move away to be closer to their immediate family for more emotional support the children will get to know their extended family better. Divorce can sometimes bring out the best in children especially older children who have siblings. They want to protect their younger sisters and brothers and do so by making sure they are okay and being compassionate towards them. It can bring out a maturity and strength beyond their years. Especially girls. Some are quite happy to take the role of nurturer and see dad or mum not being around as a sign to take on more responsibility. They want to do it and show support to the resident parent. Children of divorced parents can also have a better understanding of life. They can be more helpful in nature, caring and tolerant because of their experience. The fact that they have had to go through the parent separation can give them practical skills such as problem-solving skills. If their parents are not around so much who is going to help them with their problems? Divorce can be positive but it is mainly down to the parents to make it this way.